Roman art is defined as the Roman civilization from Romulus to the Emperor Constantine, spanning a period of more than 1000 years. To better understand the origins of Roman art, it helps to look at the character of the Romans who lived at the beginning of Roman history (753 BCE). 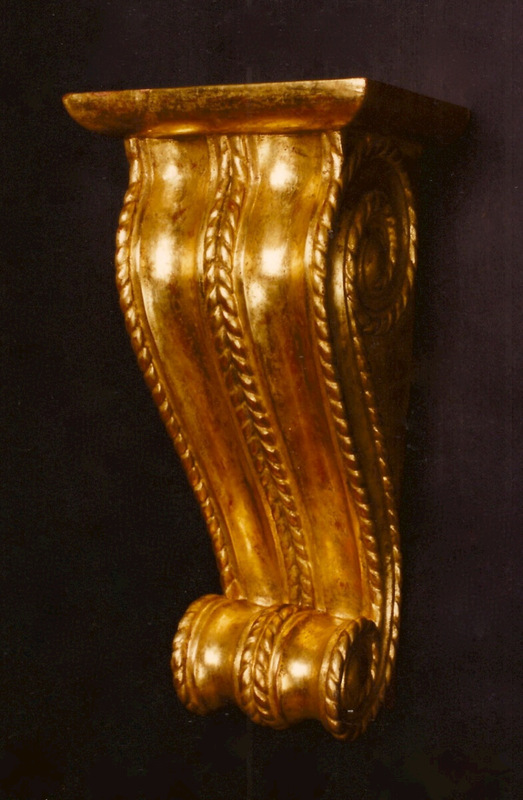 Preoccupied with amassing wealth and increasing their lands by conquering neighboring countries, the Romans failed initially to develop a unique art of their own. 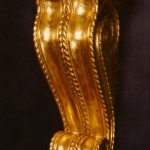 Instead, they absorbed the archaic Etruscan style, following their conquest of Etruria (present-day Tuscany) in 280 BCE. 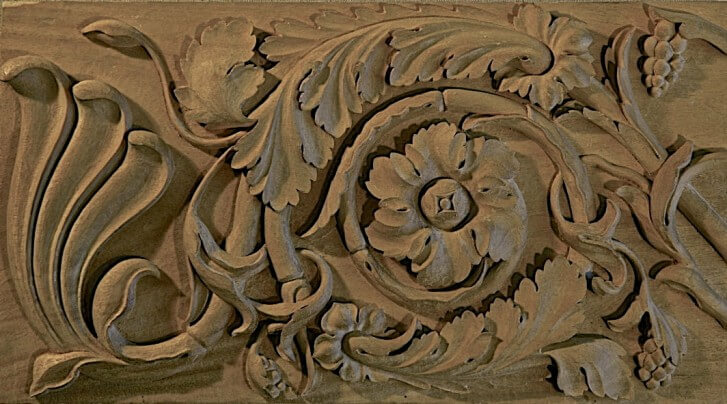 The development from simplistic Etruscan decoration to the grand ornamentation of imperial Rome is likely due to the defeat of the Greeks, who were known for their artistic talent and wealth. 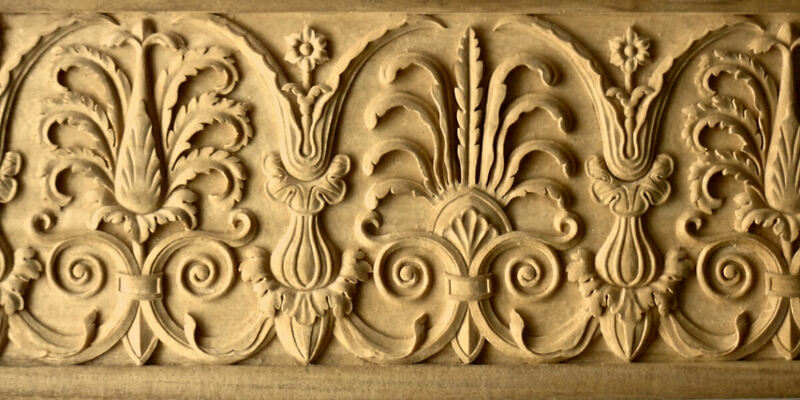 Greek artists and carvers were brought to Rome to design and build new buildings, and also to repair old and carve new figures. Roman ingenuity led to the inventions of the arch and concrete, and soon they were creating vaulted and dome ceilings, as well as molded walls that could be clad with marble or covered with stucco. The Romans went on to create their most magnificent works in architecture with numerous temples, basilicas and theaters. The Colosseum and Pantheon in Rome and the Hagia Sophia in Constantinople are examples of their abilities. The arch was a significant contribution to monumental architecture. 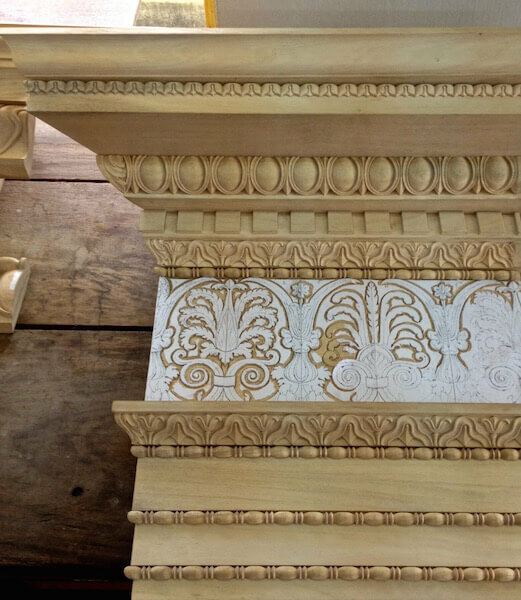 Arches were often decorated with carving and lettering that glorified Roman leaders and generals, and on Rome’s most famous carved pillar, Trajan’s Column of 113 CE, a spiral frieze depicts the conquest of the Dacians. The calligraphy on the base is a wonderful example of lettering we now call Roman lettering. 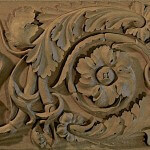 It was first painted on the marble and then carved by skilled artisans. With the expansion of their empire, the Romans built theaters, temples, sculptures and mosaics as far north as Hadrian’s Wall in Britain, south at Leptis Magna in Libya, east at Hagia Sophia in Istanbul and west at Emerita Augusta in Spain. When barbarians finally defeated the Roman Empire, Christianity became the religion of the state and a new ornamentation blossomed under the Byzantine period. However, Roman sculptures and buildings were rediscovered during the Italian Renaissance of the 15th century, inspiring a tremendous revival. Even today we see the Romans’ legacy in not only artistic but also civic life. 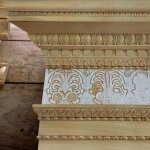 Roman-style entablature with woodcarvings by Agrell Architectural Carving. Features lamb’s tongue, egg and dart, bead and reel, and an elaborate frieze. 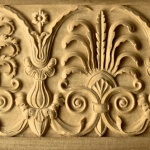 Roman-style frieze hand-carved by Agrell Architectural Carving. 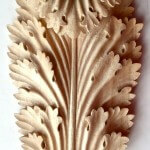 Roman-style woodcarving by Agrell Architectural Carving. Based on a design found at the Basilica Ulpia in the Forum of Trajan. 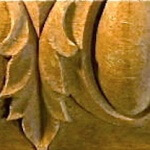 Carved wood corbel in the Roman style, based on design found at the temple of Augustus and Rome in Ankara, Turkey. 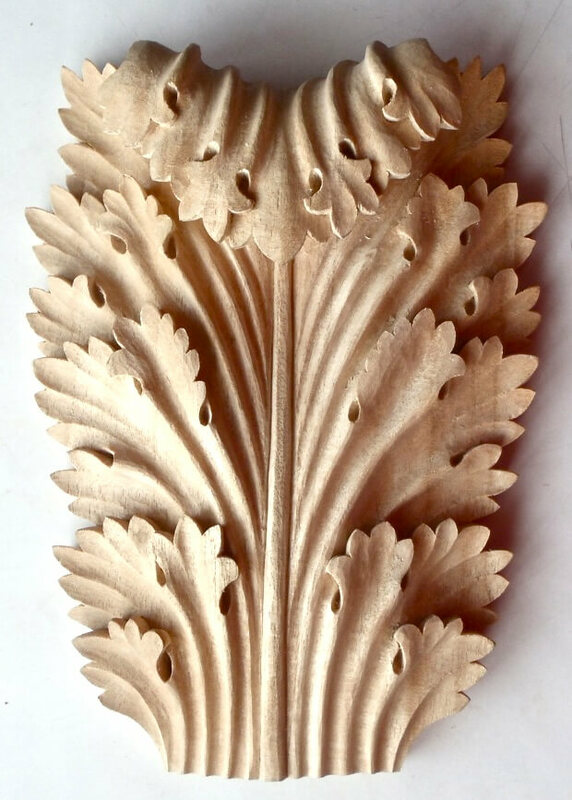 Wood-carved Roman-style egg and leaf moulding by Agrell Architectural Carving.